Neutrogena is one of America’s most trusted skin care and cosmetics companies. Headquartered in LA, Neutrogena is currently a part of the Johnson & Johnson Company. 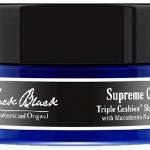 In recent years, this company has been trying to branch out into the male skin care market. 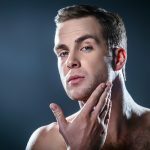 In this article, we’ll be reviewing one of the company’s most popular products for men: the Neutrogena post shave lotion. This facial lotion was designed to help moisturize the skin after a shave. Specifically, this lotion targets men who use electric razors, suffer from dry skin and frequently experience symptoms of razor burn. Keep reading this article to discover whether or not this product is the right fit for your needs. The Neutrogena post shave lotion contains both conditioner and a bunch of vitamins to help the skin heal from razor irritation. This product is especially aimed at people that suffer from dry skin. A few of the chemicals that make up this lotion include glycerin, ascorbic acid, soybean seed extract, and benzyl alcohol. Everyone using this product should apply the formula liberally on the face right after a shave. Neutrogena promises this post shave lotion will get rid of the bumps that often accompany razor irritation. All of these lotions are sold in black squeezable cartridges. You can order these Neutrogena lotions separately, in two-packs, or four-packs online. As mentioned above, this lotion was designed for people with dry skin. If you’re often prone to cuts, bumps, and scrapes due to shaving, this lotion might be just what you’re looking for. The vitamins and conditioner in Neutrogena’s lotion soothe chapped skin and effectively reduce razor bumps. The conditioner really helps to moisturize dry skin after a rough shave. This lotion is so good that some men use it as an all-purpose moisturizer. If you live in a frigid climate, this moisturizer could help your skin stay soft and smooth during the winter season. You can apply this lotion on your hands as well as on your face. Some people have seen a noticeable improvement in their complexion with this lotion. 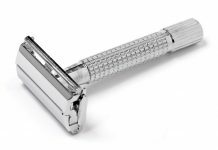 The men who most often buy this product use electric razors. 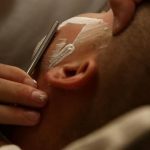 Since you don’t have to lather up with electric razors, there’s more of an opportunity for razor burn and rashes to develop. That’s why applying a post shave moisturizer is a good idea for all electric razor users. 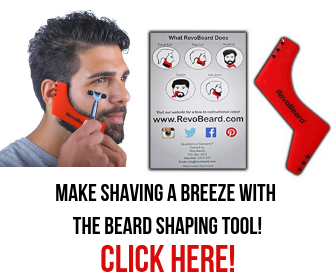 Many electric razor users have been singing this product’s praises for a long while now. If you like to use an electric razor, you owe it to yourself to give this product a try. If you shave your head often, the Neutrogena post shave lotion may be just what you need. Many people who opt for the bald look really enjoy how soothing this lotion feels on their head. People have used this lotion to smooth out bumps and even bruises on the top of the head. Anyone looking for a smooth bald head should definitely give this lotion a try. Men who experience a mild rash on their neck after shaving could find some relief by using this formula. People prone to rashes post-shave have noticed a dramatic reduction in itching after using Neutrogena’s lotion. Although this lotion wasn’t designed to “cure” rashes, it can significantly help mild cases. 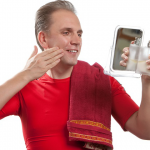 Men with oily skin might not get a lot of benefit from this product. Some customers who purchased this lotion complained that it left grease marks on their face. This can aggravate acne-prone skin. Remember, this product was designed to help moisturize dry skin. If you already have oily/acne-prone skin, you should look for a different product. Some people complain about this product’s odor. If you like the scent of menthol, then you probably won’t mind this lotion. However, most people who’ve used this lotion say that it’s quite pungent. Be sure you can handle a strong aftershave scent. If you live with people who can’t stand fragrances, you might have to use this product when they’re not around. 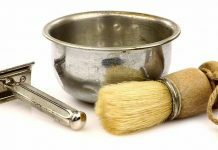 Since this product works best when used in larger quantities, it can produce a very noticeable scent. 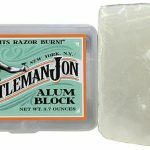 Anyone who uses traditional razors with lather might not need this product. As long as you wash your face with water and put plenty of shaving cream on, your face should have enough moisture to avoid shaving burn. Unless you have super dry skin, this product will most likely not be necessary for people who use traditional razors and shaving cream. 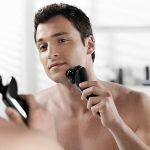 Is Neutrogena Post Shave Lotion Worth Buying? If you’re on the fence about whether or not to buy this product, you should buy it. Why? 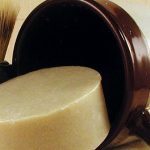 Simply put, this shaving lotion is inexpensive. You can find bottles of this Neutrogena post shave lotion for around $5 in some stores. If you like the product, you can search the online market for a deal on two or four-packs. And, if you don’t like the product, you’re only down $5. 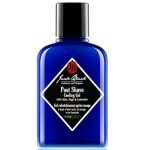 Just remember, this post shave lotion is best suited for men that use electric razors and/or have dry skin. If you fit either of these criteria, it’s well worth the effort to hunt this product down and try it out for yourself. The worst-case scenarios are that this product either doesn’t work for you or it leaves grease marks on your skin. Thousands of customers praise Neutrogena’s post shave lotion. People who use electric shavers either on their beard or head enjoy the refreshing effect this product has on their skin. Men with mild to moderate rashes have reported a marked reduction in bumps, redness, and itchiness while using Neutrogena’s lotion. Plus, since the Neutrogena lotion is inexpensive, anyone can give it a go. 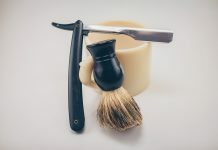 If you use an electric razor, you really should find a reliable aftershave that helps moisturize the skin. This is doubly important if you already suffer from dry skin. 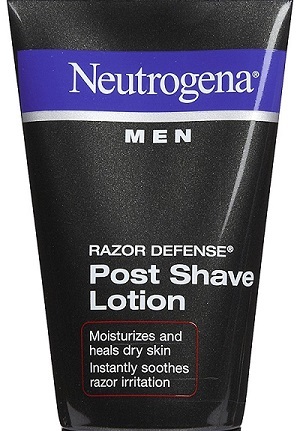 Bottom line, if you have dry skin and/or use an electronic razor regularly, the Neutrogena post shave lotion is a “must try” product.